A good friend of mine gave me 2 free movie tickets in Prangin Mall. I can watch any shows with it. I took the children to watch Barnyard. 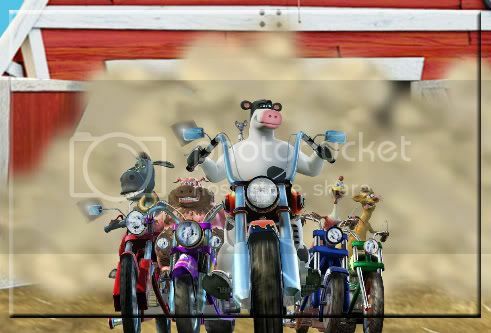 Barnyard was humorous with a plenty of actions to keep the children excited throughout the movie. The show talk about a heresy cow named Otis who wanted to run away from his responsibilities. However he cannot run far when his responsibilities catch up to him. His father Ben was the leader of the barn and took care of all the animals, protecting them from harm. However one night, while he was protecting some chickens from the hungry wild coyotes, he lost his life. Otis had to take over. Otis never wanted to become a leader, he wanted a fun life and love to party all night. All had to change when he was faced with it. I must say the movie was done in a very creative manner and lots of surprises. The plot was predictable, hero saves the day kind of plot. It works for the children.